This is a vital truth to us all that we too often either forget or discard. 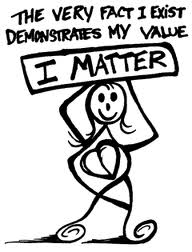 I matter! 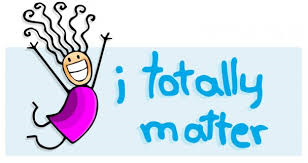 You matter! We matter! We give ourselves wholly to our jobs, our families, our friends and whatever other responsibilities are calling us. We make these things matter! And before long, they matter more than we do. And in even less time, it takes a toll on us. Our health, Our relationships, everything that truly matters. It is of the utmost importance that you do not neglect yourself and your spiritual practice. Even Jesus spent the early hours of the morning in prayer and meditation, drawing close to God before setting out on his miracle filled days. I love the way Iyanla Vanzant puts it. You are the cup and you need to be filled up and overflowing into the saucer and it is out of that saucer, out of your surplus, that you can pour into others’ lives, help others, bless others. When we bless people out of our own strength, i.e. what is in our cup, the inevitable will happen, the cup will become empty, we will become depleted, tired and unable to give anyone anything. Including ourselves. Your cup must stay full! Today, be blessed! Be whole! Be complete! Do something to fill your cup! This entry was posted in Uncategorized on August 19, 2014 by The Woman Hood.